Winterkorn resigned as VW CEO in September. FRANKFURT (Bloomberg) -- Former Volkswagen Group CEO Martin Winterkorn was notified as early as May of 2014 that U.S. authorities would probably inspect the company's cars for an emissions-test defeat device, according to German newspaper Bild am Sonntag. A VW employee wrote to Winterkorn to say that the automaker could not provide an explanation for elevated nitrogen oxide emissions and that the authorities would probably look for a test-recognition function in motor-steering software, the paper reported, citing a company document. Bild didn't identify the employee. VW admitted in September that it had rigged some diesel engines so that emissions controls came on only during testing. Those controls shut off while the car was on the road, producing nitrogen oxide well in excess of the U.S. legal standard. 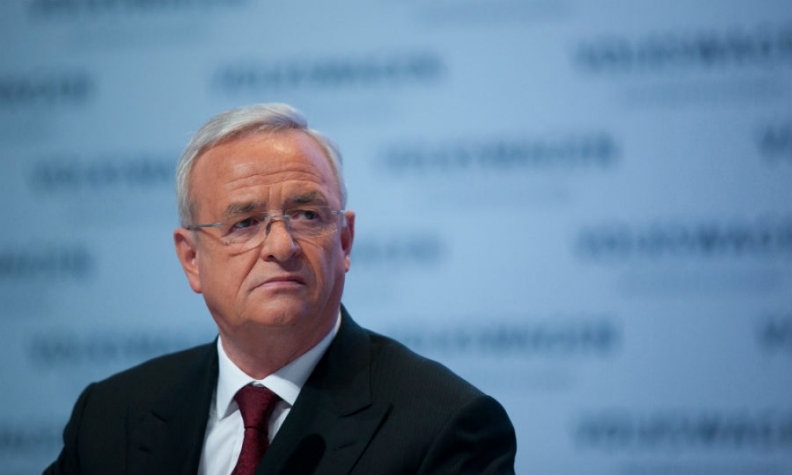 Winterkorn resigned as VW CEO in September shortly after the emissions scandal became public. "I am doing this in the interests of the company even though I am not aware of any wrongdoing on my part," he said at the time. VW now faces damage to its reputation as well as penalties that could stretch into the billions of dollars. Winterkorn declined to comment, according to Bild. A lawyer for the former CEO didn't answer a call from Bloomberg outside of normal office hours and didn't immediately respond to an email seeking comment. Eric Felber, a VW spokesman, declined to comment on the Bild report. The company's investigation into the matter will be concluded in the second half of April, he said. Bild said that an employee known internally as "Winterkorn's fireman" had notified superiors about the probe. "It can be assumed that the authorities will investigate VW systems to establish whether Volkswagen has implemented test-recognition software," the newspaper said, citing the letter uncovered as part of an investigation by Jones Day, a U.S. law firm conducting the company's internal investigation. Two people familiar with the matter told Reuters on Sunday that they had knowledge of the Volkswagen letter but that it is not certain that Winterkorn had seen it. The letter was sent from the carmaker's product quality and safety department, one of the sources said. Separately, Bild cited German Transport Minister Alexander Dobrindt as saying VW has to win back trust globally. "It's important that those responsible be clearly named and made accountable," the minister was cited as saying in an interview, without referring to Winterkorn.